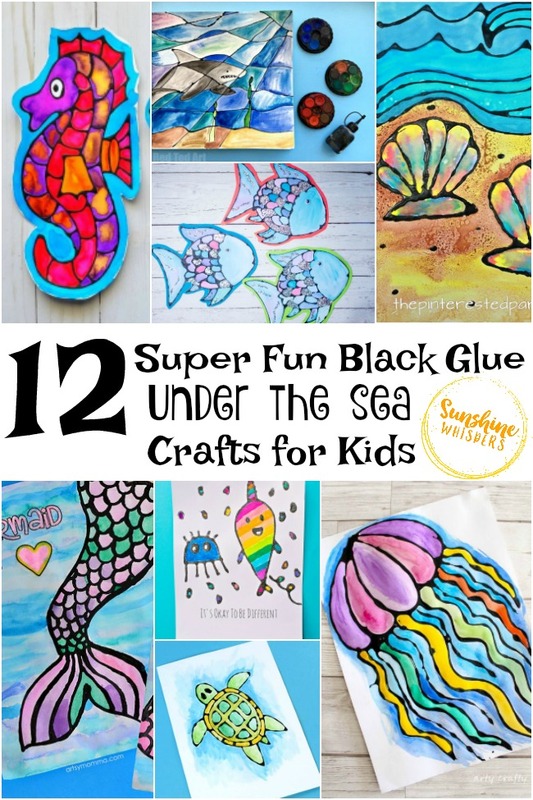 12 Super Fun Black Glue Under the Sea Crafts for Kids! 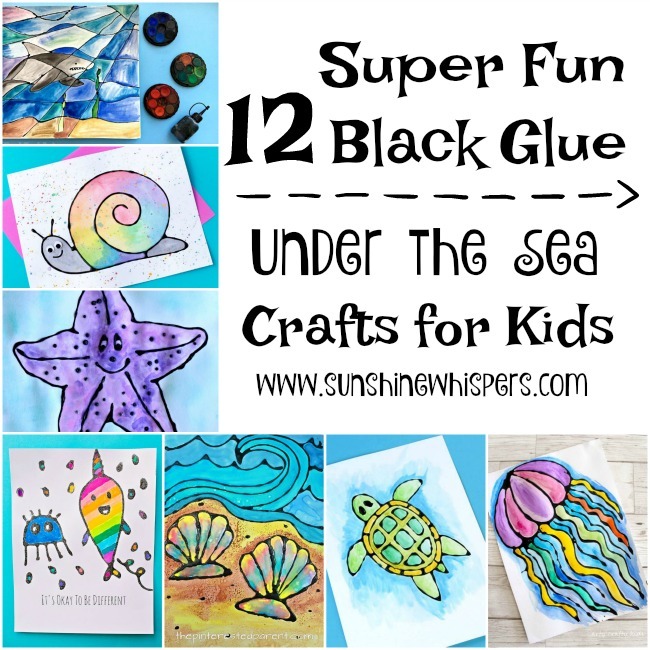 Just in time for the sunny fun of summer, I am so excited to share with you 12 super fun black glue under the sea crafts! 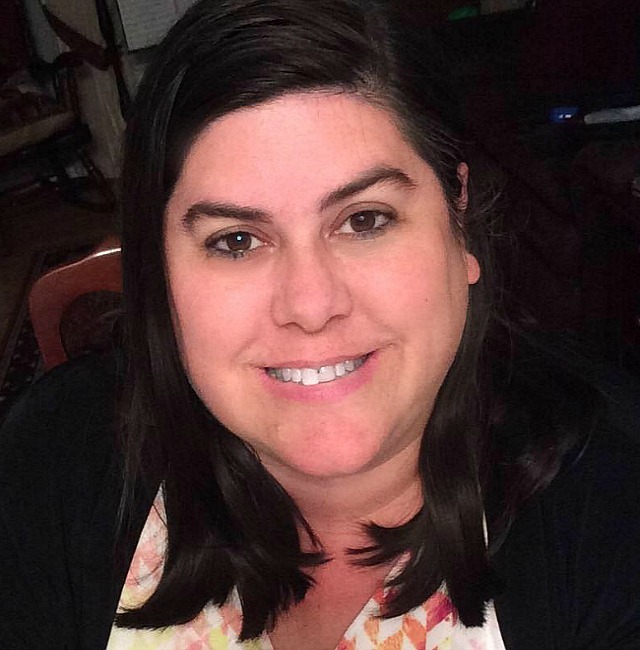 You might be thinking, what are black glue crafts? Well, basically they are my new favorite way to get crafty with my daughter. The gist is that you mix Elmer’s glue and black acrylic paint together until the glue is black. Then you trace a pattern with the black glue and let it dry overnight. 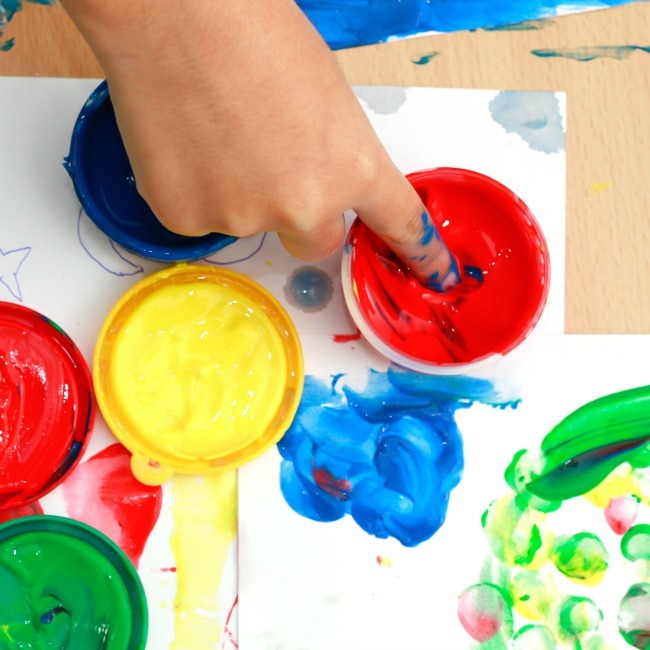 Once it is dried, you have the perfect outline for painting. I love to use liquid watercolors to make the design pop, but you can use watercolor pens, regular watercolors, or really any medium you would prefer. Recently I teamed with 11 other truly amazing craft bloggers to put together a black glue under the sea theme. 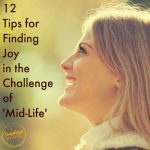 My post is the first one in the list, but really you should definitely check them all out. I can’t even believe how beautiful these crafts turned out. Maggy from Red Ted Art always has the best ideas. I love her shark craft. It is cute and cool at the same time! This Sea Turtle from Andreja at Easy Peasy and Fun is really cute. What a fun idea! Helen from Arty Crafty Kids really created such a sweet Jellyfish craft. I wonder if its sting is sweet too. ha! Oooh, this Octopus from Jen at The Mad House is so much fun! 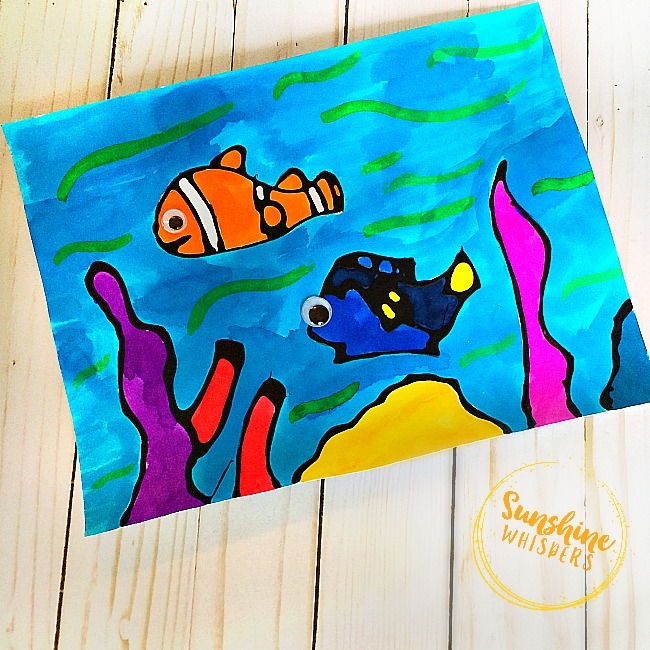 Kim from The Pinterested Parent created a super sweet take on the sea shore. Who wouldn’t want to collect these shells? If you haven’t yet read this delightful book, you must check it out now. It is one of our favorites. This craft from Kimberly at Best Ideas for Kids looks just like it too! These Starfish from Nell at Rhythms of Play of play sure look like they are ready to play! If you would like more crafty fun, sign up now and receive a FREE copy of the Ultimate Craft Supply List! 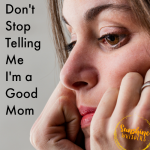 Previous Post: « How to Have an Epic Summer With Your Kids!